~ Pyrotechnics add a dynamic effect to any event. ~ Pyrotechnic effect cartridges range from coloured flashes, flames, explosions, confetti, streamers, sparks and many more. 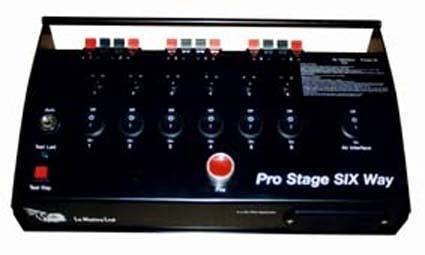 Each channel can be fired individually with 100 metres of cable and up to 16 effects wired in series, or both channels can be fired at once with up to 8 effects on each channel the firing unit is fitted with a test facility for each channel when armed and unarmed. 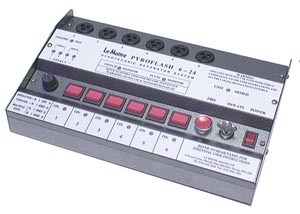 The unit is capable of firing each channel individually with up to 16 effects wired in series over 100 metres, or all 6 channels can be fired at once with up to 8 effects on each channel the firing unit is fitted with a test facility for each channel when armed and unarmed. 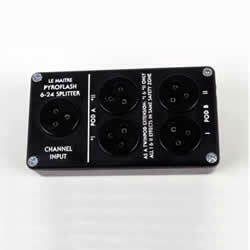 All 6 channels can be fired simultaneously with up to 5 effects wired in series on each channel. 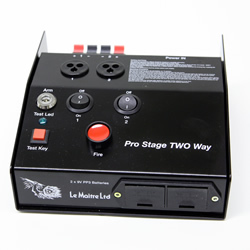 Up to 240 effects can be fired from one system, using the channel selector switch and a splitter box on each channel enables the firer to select any one of 24 channels, each of these channels can take up to 10 effects in series. Each channel must be fired individually. Intelligent monitoring means that any fault or damage to the system is shown instantly, allowing the system to be disabled before firing, the unit also features an integrated test facility for assured firing status. 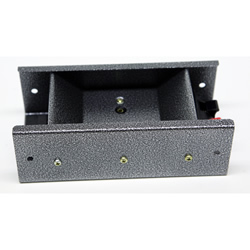 When used with the Pyroflash 6/24 firing system, the splitter box increases the number of effects that can be fired. For use with all Le Maitre firing systems and Pyroflash Glitter, Streamer, Confetti and Chinese Confetti cartridges. 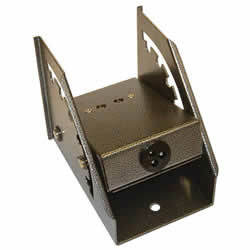 The angle of projection can be adjusted in 15 degree steps between vertical and horizontal.